The Cairncross Review into the future of UK news said such sites should help users identify fake news and “nudge people towards news of high quality”. The review also said Ofcom should assess the BBC’s impact on online news on other providers. Image caption Could a digital regulator stop the spread of so-called ‘fake news’? The review was not asked to comment specifically on the BBC but concluded that curtailing the corporation’s news offering would be counter-productive after hearing arguments from other publishers that the BBC reporting on so-called “soft content” online was crowding out other news providers. The BBC also argues that “soft content” stories may attract users who might then click onwards to a public-interest news story. The review said the BBC was delivering high quality journalism but suggested it “could do more and think more carefully about how its news provision can act as a complement, rather than a substitute, for private news provision”. 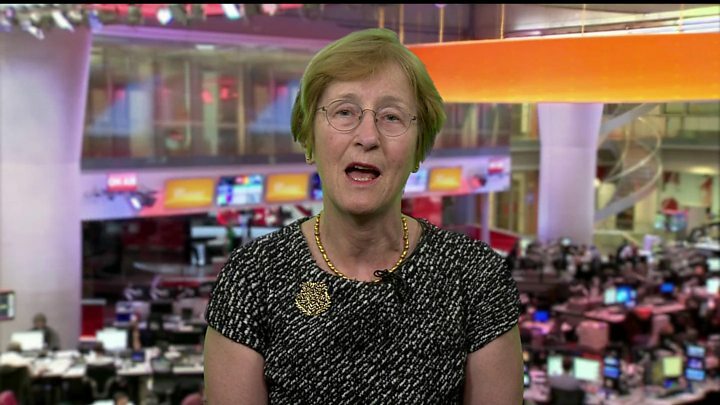 Dame Frances also recommended an exploration of the market impact of BBC News, conducted by broadcasting regulator Ofcom, to find whether it is ‘striking the right balance’ and driving traffic to other, commercial providers. Shadow Culture Secretary Tom Watson urged the government to tackle Google and Facebook’s “duopoly” in the digital advertising market, and said Dame Frances was “barking up the wrong tree” in recommending an inquiry into the BBC’s online news output.